2. 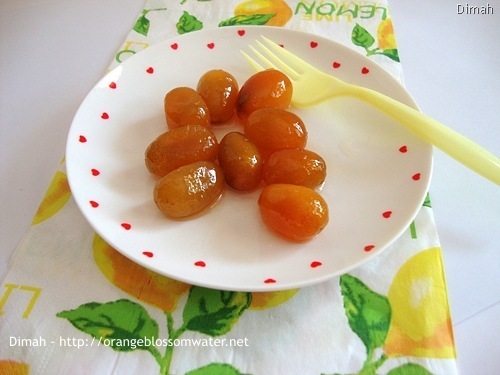 Prick each kumquat several times with a large needle. 3. 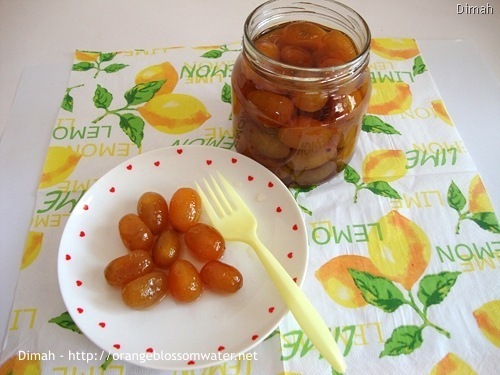 Place kumquats in a large saucepan. 4. 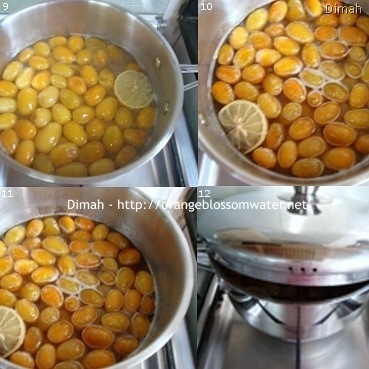 Pour enough boiling water to cover the kumquats and simmer, uncovered, until fruit is tender, about 25 to 30 minutes. Drain. 5, 6. 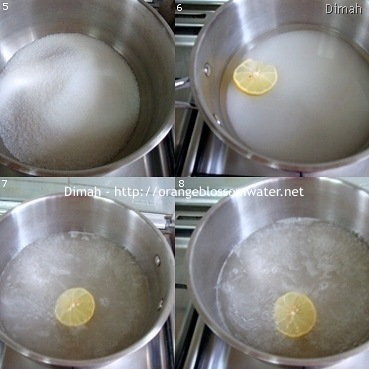 Combine the sugar, lemon slices, and 1 quart water in a large saucepan. 7, 8. Bring to a boil and cook for 5 minutes. 9, 10, 11. Add the kumquats and simmer gently until fruit is transparent, about 25 minutes. 12. Remove from heat and allow to stand, covered loosely, overnight for the fruit to plump. 13. Discard the lemon slices. 14, 15. Bring the mixture, again, to a boil. 16. 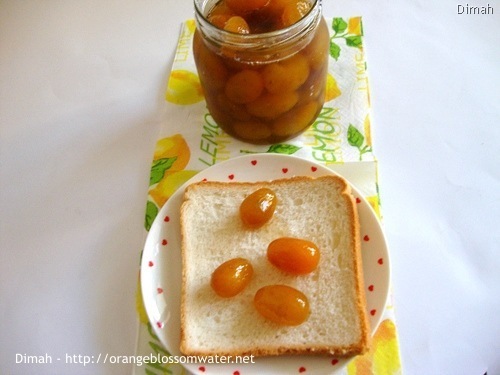 Skim the kumquats from the syrup with a slotted spoon and place them in hot sterilized half-pint jars. 17. Continue to boil the syrup until it reaches 220 °F (105 °C) on candy thermometer, about 8 to 10 minutes. 18, 19. 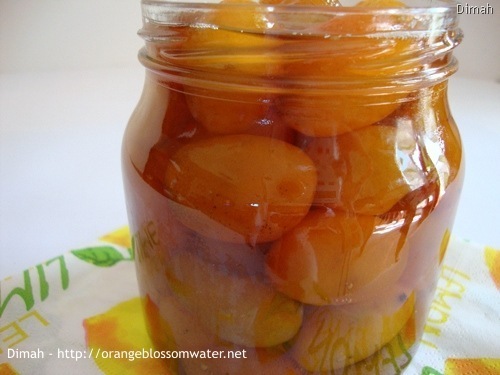 Pour the boiling syrup over the kumquats to cover, about 1/4 inch from the top of each jar. 20. Seal and allow to cool at room temperature. Store in the refrigerator. 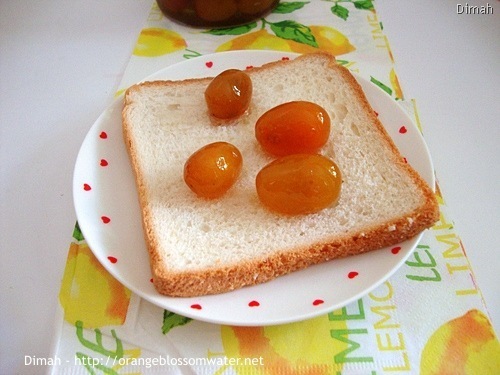 1 quarter water Wash kumquats thoroughly. 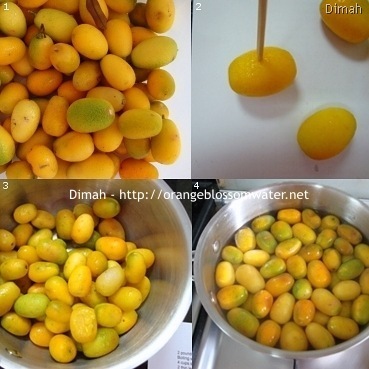 Prick each kumquat several times with a large needle. Place kumquats in a large saucepan. 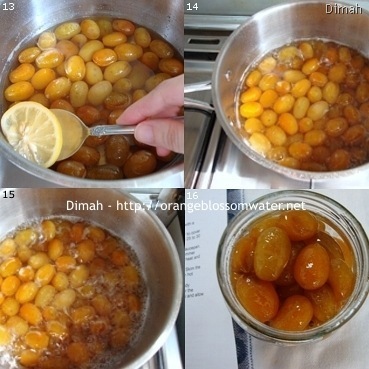 Pour enough boiling water to cover the kumquats and simmer, uncovered, until fruit is tender, about 25 to 30 minutes. Drain. Combine the sugar, lemon slices, and 1 quart water in a large saucepan. Add the kumquats and simmer gently until fruit is transparent, about 25 minutes. Remove from heat and allow to stand, covered loosely, overnight for the fruit to plump. Bring the mixture, again, to a boil. 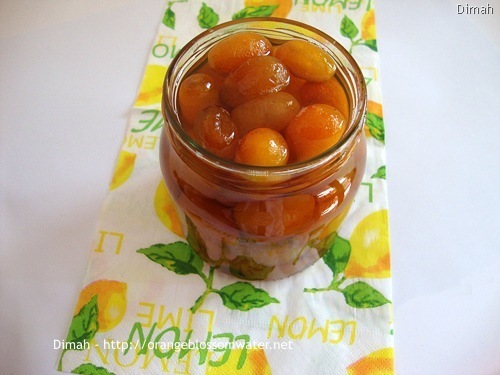 Skim the kumquats from the syrup with a slotted spoon and place them in hot sterilized half-pint jars. Continue to boil the syrup until it reaches 220 °F (105 °C) on candy thermometer, about 8 to 10 minutes. 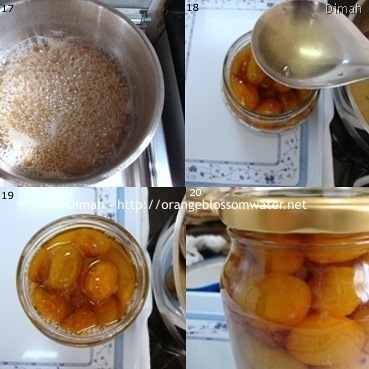 Pour the boiling syrup over the kumquats to cover, about 1/4 inch from the top of each jar. Seal and allow to cool at room temperature. Store in the refrigerator. This entry was posted on Monday, December 28th, 2009 at 1:59 PM	and is filed under Miscellaneous. You can follow any responses to this entry through the RSS 2.0 feed. You can skip to the end and leave a response. Pinging is currently not allowed. I love this recipe! The photo of the fruit too is very appealing. Thanks for the post. Looks great and it’s just given me an idea of converting this into a jam.